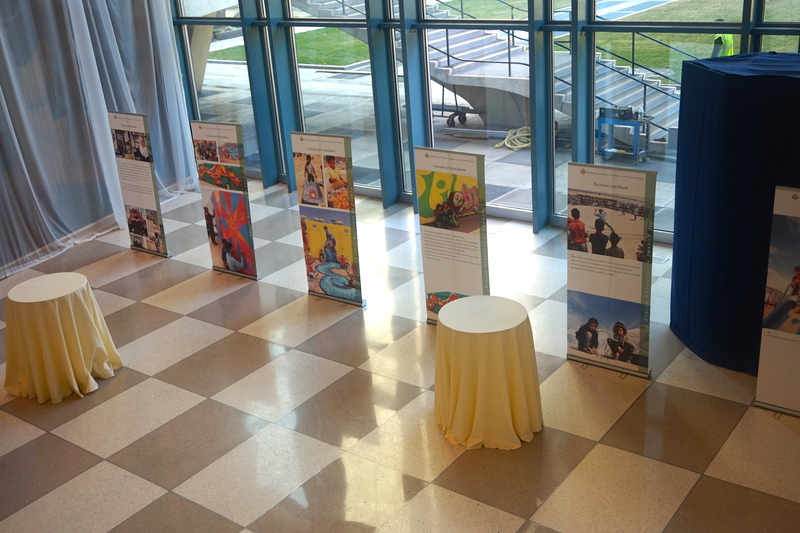 Exhibition at the United Nations Headquarters! I was honored have photography that I took of my arts-based community work with Syrian youth exhibited at the United Nations Headquarters in New York City. I have traveled to Jordan three times with the organization aptART to work in refugee camps and host communities. Partner organizations for these projects were ACTED, Mercy Corps and UNICEF. Thanks to the Jordanian mission at the UN for including my work in the exhibition and for inviting me to the opening reception, where I had the opportunity to meet the ambassadors of Jordan, Venezuela and the US and discuss my work with them. Hanging out with Samantha Powers! Discussing youth engagement through the arts with the ambassadors of the US, Jordan and Venezuela.